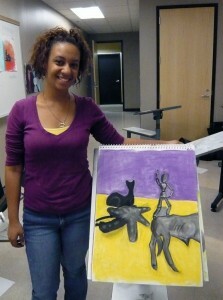 Student realizes her drawing has the same color harmony as her outfit. Drawing in pastel and charcoal. Challenge is continuation...make the drawing continue off the page.